This time of year, the sweet options at potlucks and celebrations are never-ending. And I have the biggest sweet tooth, so I’m always down for more desserts. That being said, sometimes you need to balance out the sugar rush with something salty and spicy. Enter: buffalo chicken dip. This a quick and delicious appetizer is always a hit! It’s addictive, with the perfect amount of heat. 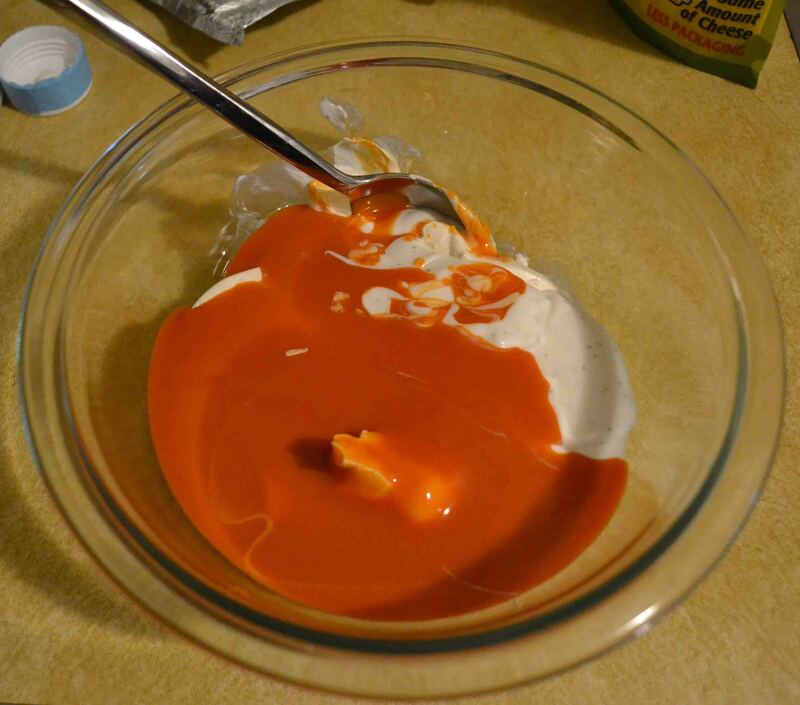 Plus, who can resist buffalo sauce?? The best part is that it’s crazy easy to throw together. All you have to do is heat and mix! Beat your cream cheese a bit, then put all your ingredients in a bowl. Give it a stir, heat for a minute, and repeat. That’s all you need for addicting dip. Seriously, it’s so easy. Add everything else to the bowl. Heat in the microwave for 45 seconds, then stir. Continue alternating heating and stirring until hot and fully mixed. 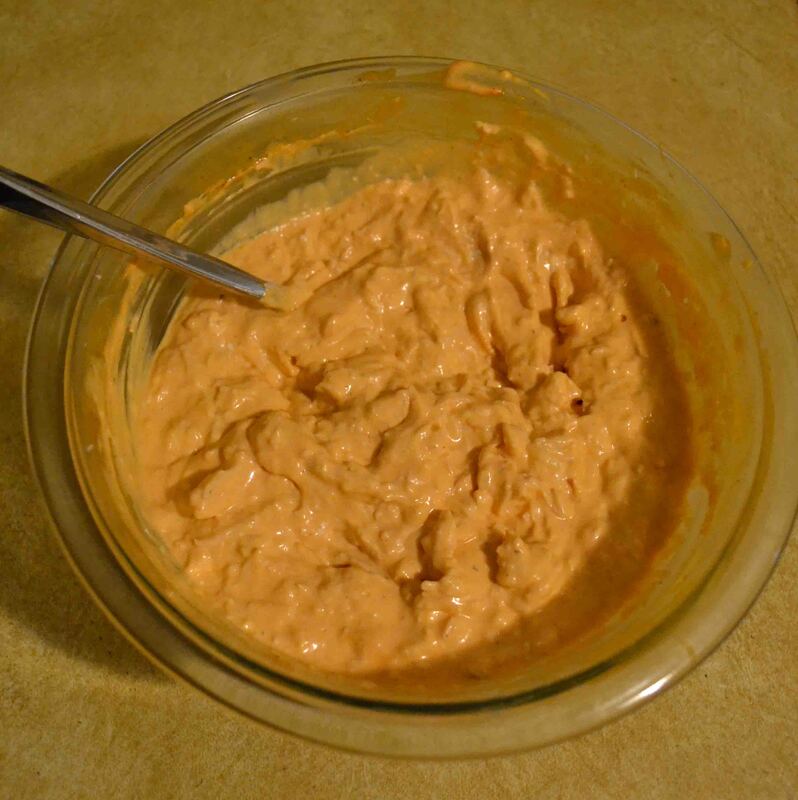 Buffalo chicken dip takes less than 10 minutes to make, and sure to be a hit at a potluck or tailgate! !